ABOUT $300 million will be poured into getting the long-awaited Inland Rail project connecting Brisbane to Melbourne via Toowoomba off the ground if the Coalition wins the Federal Election. Nationals’ leader and Shadow Infrastructure Minister Warren Truss will announce on Wednesday his party’s focus on finalising the rail line plans and buying properties along the rail corridor. Properties to be initially targeted fall between Rosewood, near Ipswich, and Kagaru, near Jimboomba, which is on the existing national rail network. A completed inland rail line would eventually link the Port of Brisbane to Melbourne via the Darling Downs and would separate freight and passenger train lines near Ipswich. Regional Development Australia: The Conference will feature discussions on infrastructure and regional development . It will be held in Albury NSW on the 15 – 16 October 2014 with a focus on the broad issues of economic, planning, environment and community development. MEMBER for Eden-Monaro Dr Mike Kelly on Monday announced $1.49 million in Federal funding to deliver vital infrastructure at Moruya Airport. The grant, under Regional Development Australia Fund Round 5(B), will allow the Eurobodalla Shire Council to enhance road access to the airport and connect 3-phase power to the airport’s commercial precinct. Council will also be able to extend and connect a water and sewer pipeline to the airport precinct and open up 14.7hectares of commercial land. Dr Kelly made the announcement at the airport – celebrating with local residents and representatives from Regional Development Australia Far South Coast and Eurobodalla Shire Council, which is contributing $658,000 funding to the project. He said the project built on the Labor Government’s pledge to promote strong, prosperous regional communities and would benefit the Eurobodalla community through job creation, private investment and by significantly boosting the tourism industry. Regional Development Australia: The Conference will feature discussions on regional infrastructure. It will be held in Albury NSW on the 15 – 16 October 2014 with a focus on the broad issues of economic, planning, environment and community development. 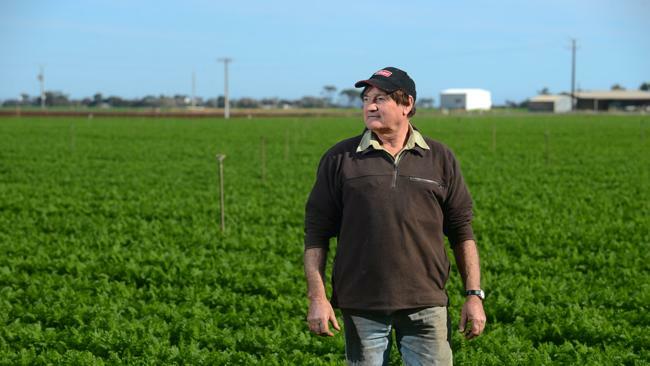 A FREEZE on residential development beyond what is outlined in the State Government’s 30 Year Plan for Adelaide’s northern food bowl is needed to help farmers, according to a report released last week. The report, commissioned by Playford, Mallala and Barossa councils, the State Government and farming organisations, makes about 100 recommendations to help support the growth of the horticulture industry in the Virginia and Northern Adelaide Plains horticultural region. Among the recommendations are a dedicated zone for greenhouse production, a study of water delivery and re-use options, better waste disposal practices and the establishment of a regional brand. Regional Development Australia: The Conference will feature discussions on Food Bowl protection and residential development . It will be held in Albury NSW on the 15 – 16 October 2014 with a focus on the broad issues of economic, planning, environment and community development. The Federal Coalition has announced plans for a new inland rail network, to cart freight from the Port of Brisbane to the Port of Melbourne. This follows Prime Minister Kevin Rudd’s announcement of Labor’s plans for a high speed passenger rail link between the two cities. The leader of the National Party, Warren Truss, says the Coalition will match Labor’s pledge of $300 million to buy land along the corridor and obtain approvals. Research Director for Transport with Beyond Zero Emissions, Patrick Hearps, says Australia should invest in both passenger and freight rail transport and both options are affordable.